Hammersmith Books Limited, 9781781611425, 264pp. It is generally believed that infection is a killer of the past. That belief could not be more wrong Research now shows that our big killers, from cancers and coronaries to dementia and diabetes are largely infection-driven. Indeed, it is difficult to find a pathology that does not have an infectious associate. Cheap and effective defenses are within the grasp of all of us. We have all the weapons we need to win the arms race. This new book provides the intellectual imperatives and practical know-how to conquer the established, prevent the potential, and postpone the inevitable. 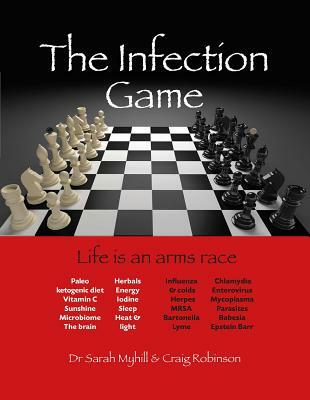 The Infection Game shows us how we can maximize our defenses and martial our weapons so that we are ready to defeat the infectious organisms we encounter every day and in epidemic situations.